These full body security cameras are used for commercial grade video security and video imaging purposes. CCTV cameras are equipped with a wide angle lens and capable of adapting other various C/CS mount lenses for optimum coverage. All CCTV cameras come in a complete package so all you have to do is just plug it in. All cameras have self adjusting electronic iris for various lighting situations. 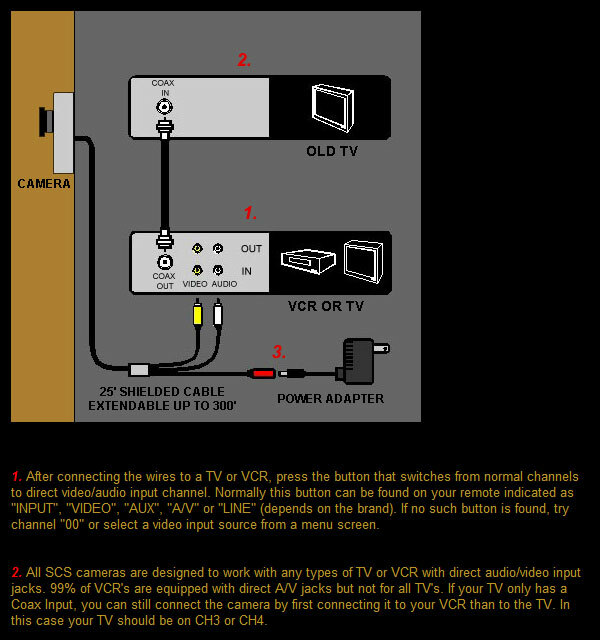 The camera connects to any TV, VCR or a DVR.